The range of the Fly River Turtle includes several rivers in the Northern Territory of Australia, and the Fly River in New Guinea. 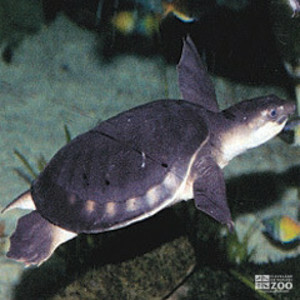 The Fly River Turtle inhabits freshwater, and estuarine reaches of rivers, large waterholes, and lagoons. 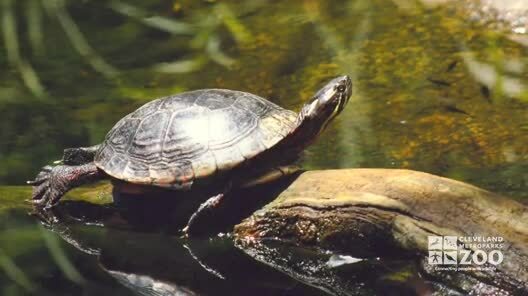 Fly River Turtles appear to be very slow-growing animals. Like sea turtles, the chest can pump in and out slightly as the animal breathes. Fly River Turtle eggs are laid in river sandbanks during the dry season The embryos hatch out when the nest is flooded by rising waters at the beginning of the wet season. The eggs are hard-shelled, spherical, and about 1.7 inches in diameter. Hatchlings are about 2.25 inches in carapace length and differ from the adults in having a depressed, white-edged carapace with strongly serrate, saw-toothed sides and a wavy hind-margin.